CESMACH is a coffee cooperative of 660 member-producers in Chiapas, Mexico. 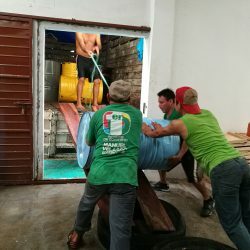 Most are organic coffee farmers living in the El Triunfo Biosphere buffer zone. This area protects two important ecosystems: the cloud forest and the tropical rain forest, home to a great number of endangered plant and animal species. 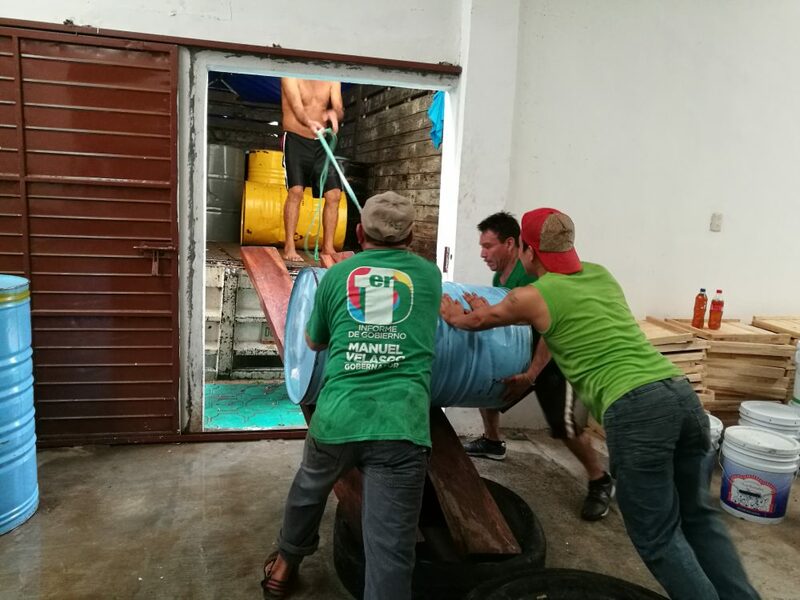 To strengthen resilience in the face of fluctuating coffee prices and climate change, the cooperative wanted to create a long-term comprehensive plan for food security. To achieve this, we began working with CESMACH in 2013 with a Participatory Community Diagnostic that identified both root causes of seasonal hunger and available resources to overcome it, then started strategic planning with co-op staff, members, and their families. 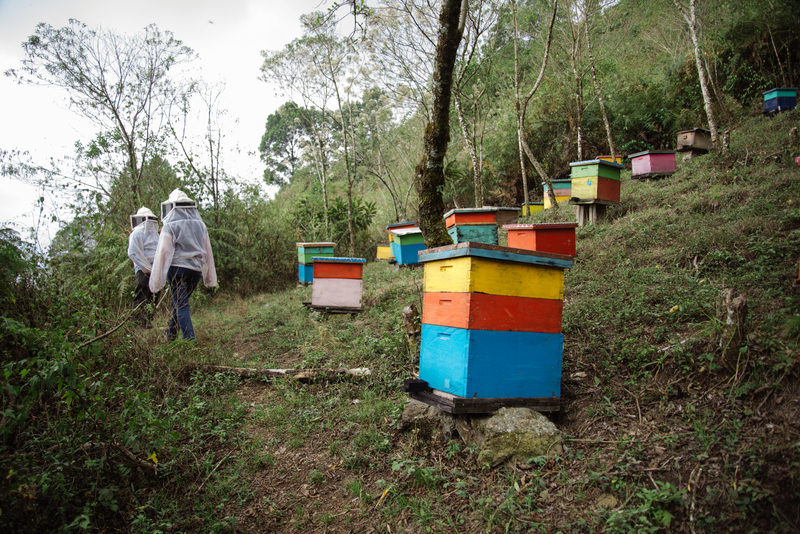 Together we identified a key opportunity to build better livelihoods and nutrition: beekeeping. 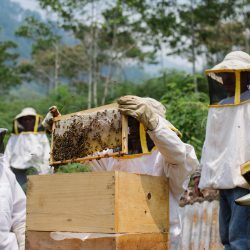 Cesmach had begun beekeeping activities several years earlier, with a grant from Heifer International, and when we started working with the co-op, 50 members had learned the basics of beekeeping. 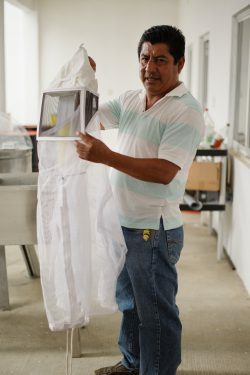 Cesmach wanted to add more beekeepers to increase honey production for export, and with funding from the Progreso Foundation, GloryBee, Equator Coffee, Vermont Artisan Coffee, The Coffeelands Foundation, and Café Mam, we’re providing training, business planning, materials, and capacity-building to help Cesmach ramp up commercial beekeeping, and turn it into a successful business. 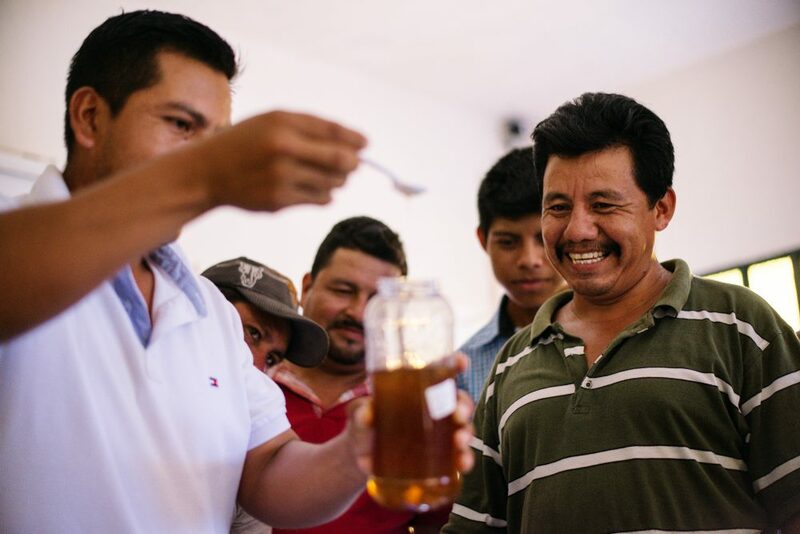 We’re now working with 83 women, men, and young people to help them build their new honey production businesses, for export and local sales. 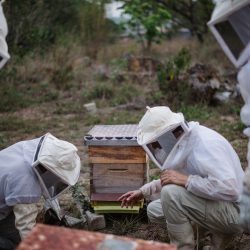 To make training accessible and provide a support system for newcomers, we established a community apiary for teaching and skill building. 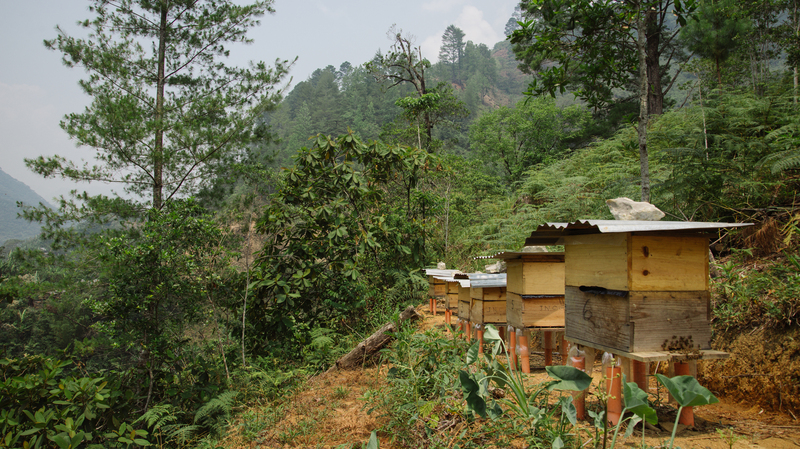 This is where new beekeepers build their knowledge and confidence – because working with aggressive Africanized bees can be a daunting challenge, to put it mildly! 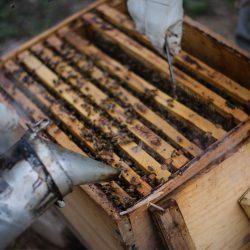 The co-op’s experienced beekeepers also use the apiary for refresher courses and advanced training, to improve honey quality and hive productivity. 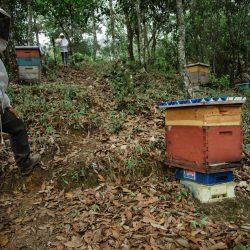 Lucas Abelardo Lopez talks about the importance of protective gear when working with Africanized bees. 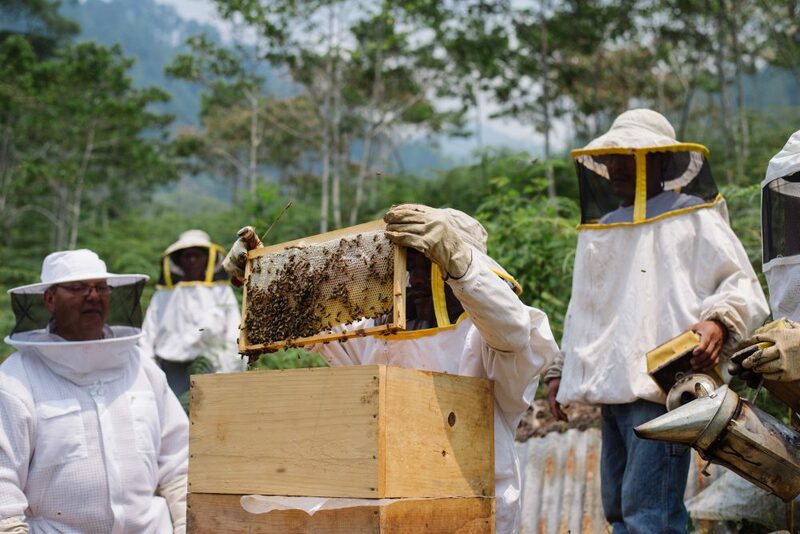 After a year of training, each new beekeeper receives 3 hives and can purchase supplies through a short term, low interest loan managed by Cesmach. 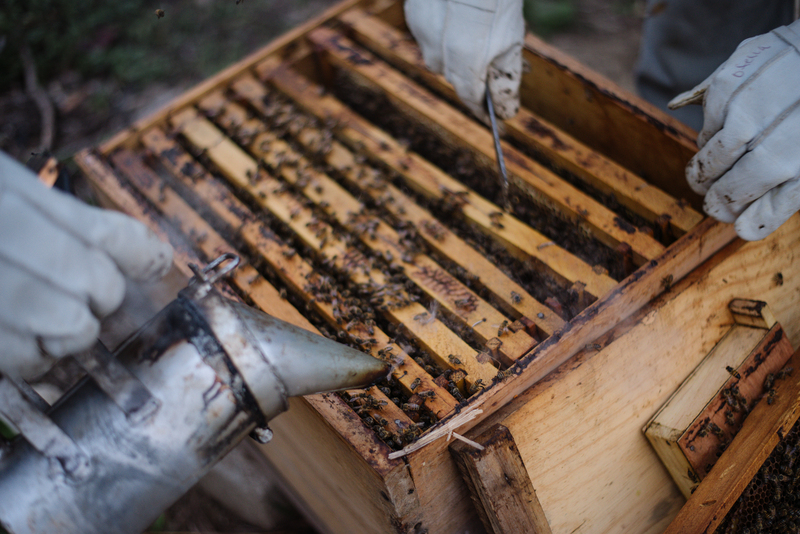 The beekeeping program is now in its fourth year, and we’re focusing on strengthening production and small business skills for individual beekeepers and the co-op. We’ve created a guide that Lucas is using to monitor progress. In June 2018, we conducted a 3-year evaluation, to guide the co-ops future path. At the top of the list was incorporating as a distinct business entity under the Cesmach umbrella, now complete. Next up: gaining organic certification, for better prices and transparent sourcing. 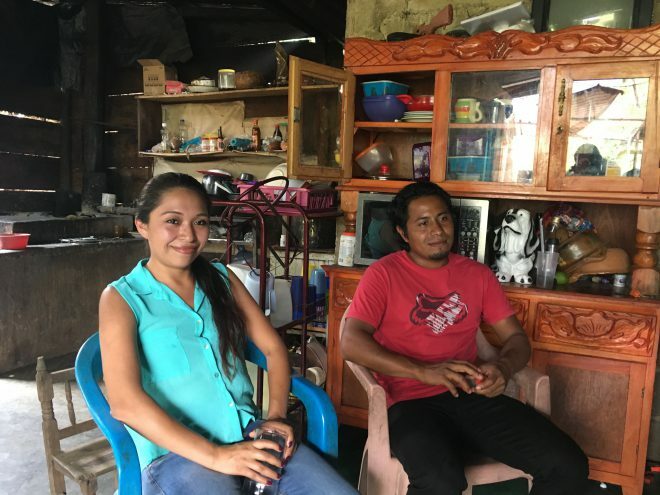 Juan and Dalila have been part of Cesmach’s beekeeping program for four years, making great strides in improving the quality and volume of their honey production during that time. 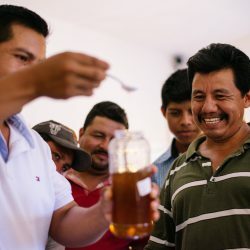 In 2018, they collected nearly a ton of honey from their 30 hives, with ambitious plans for growth in 2019. 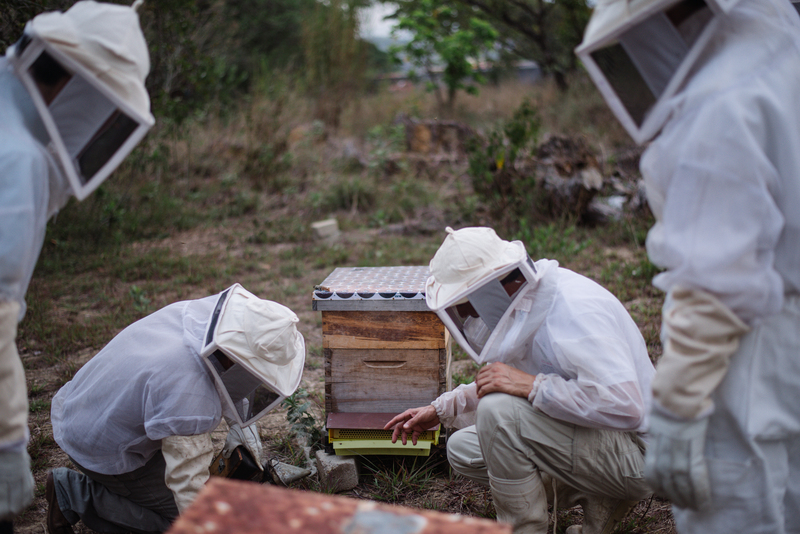 Lucas taught Juan and Dalila how to collect pollen by making pollen traps, and in 2018 they sold about 20 pounds of this premium hive product, which is used to treat asthma, fight infections, and provide protein to their children. 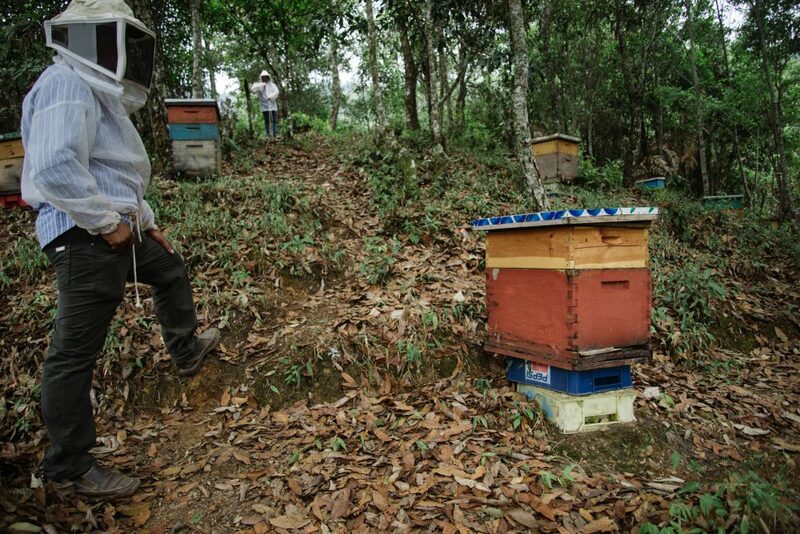 For this couple, beekeeping is a family affair: Dalila uses the smoker, while Juan manages the hives. 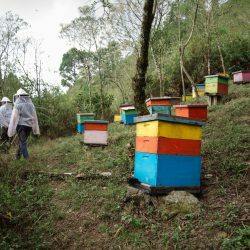 They’ve been reinvesting all earnings into their hives, and also keep native stingless melipona bees, which produce a small quantity of light, citric-sweet honey. 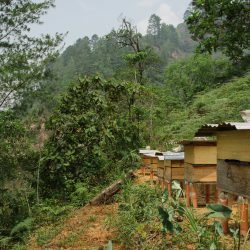 Dalila packages honey to sell in the local retail market, as well as dried pollen, and plans to start learning how to harvest and sell propolis and other hive products.